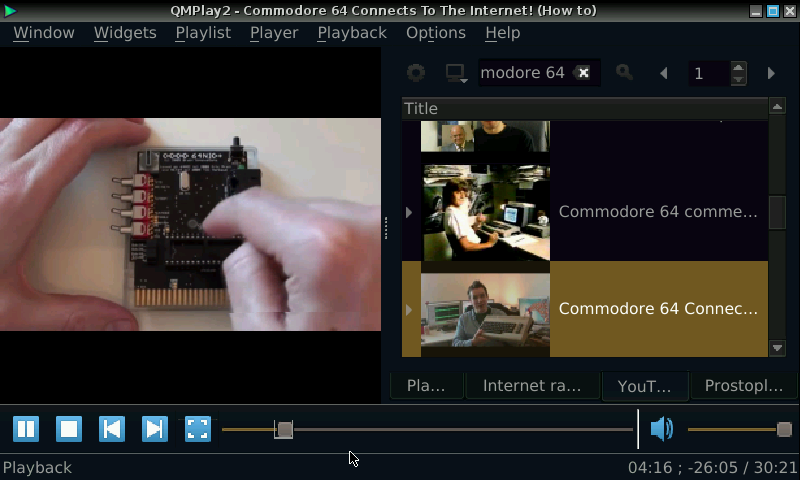 QMPlay2 is a video and audio player. 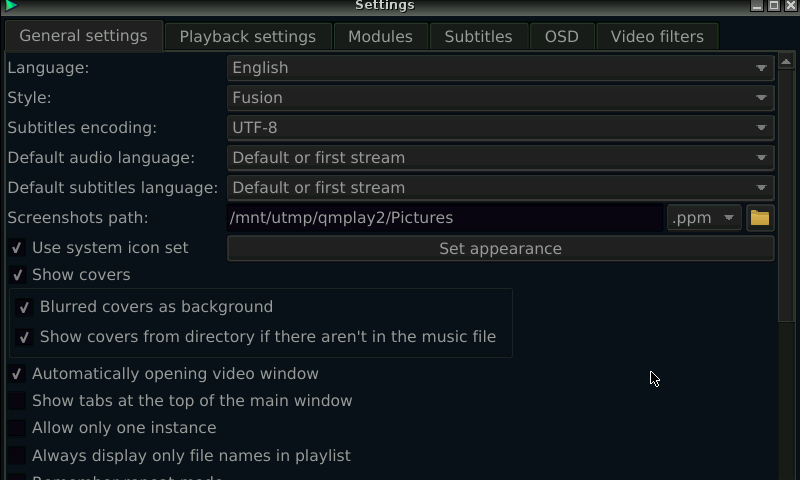 It can play all formats supported by FFmpeg, libmodplug (including J2B and SFX). It also supports Audio CD, raw files, Rayman 2 music and chiptunes. It contains YouTube and Prostopleer browser. - Default configuration for OpenPandora. - Latest stable release. Compiled with QT 5.8 from latest Codeblocks beta PND. - Latest stable release. Compiled with latest Codeblocks beta PND. - Updated libs, scripts and patched source code in src folder. - Latest stable release. Compiled with QT 5.9 from latest Codeblocks beta PND. - Updated youtube-dl and patched source code in src folder.